It took me awhile to decide what to do for my last two Childhood designs. They probably changed ten times before I finally made a decision! Today's design is inspired by my love for all things Jim Henson. I have a lot of memories that involve Jim Henson. 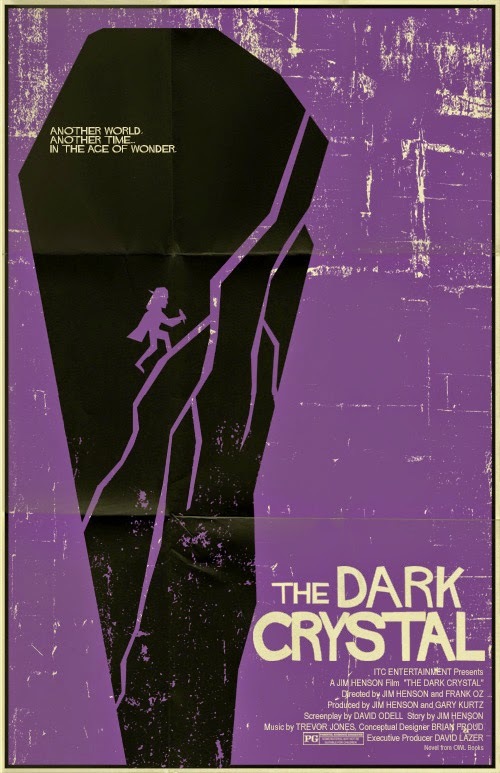 One of the first movies I remember seeing in a theater was Dark Crystal. Looking back at the images today I don't know how that movie didn't scare me! 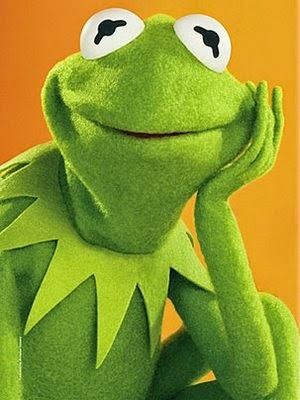 I watched The Muppet Show when it was on prime time and the reruns when they took it off the air. Fraggle Rock was one of the best shows I have ever watched, thank goodness my parents got HBO back in the 80s. Christmas wouldn't be Christmas without Emmet Otter's Jug Band Christmas. In case you didn't know Kermit was in the original, I don't know why they cut him out! I am pretty sure I wore out my Video Store's copy of Labyrinth. Still crushing pretty hard on David Bowie's Goblin King. In honor of my total love and devotion to Jim Henson and his amazing creations! I started with these base colors: Paprika, Mushroom, Coconut, China Glaze Def Defying and Clubbing Girl Bottle Service. First is my Dark Crystal nail. This design is based on a movie poster that I found on Google. I created my crystal using a nail art brush and Sally Hansen Black Out. I used my thinnest striping brush and Bottle Service to add the cracks in my crystal. For my Kermit nail I used a nail art brush and Maybelline Lime Accent to create the neck accent. 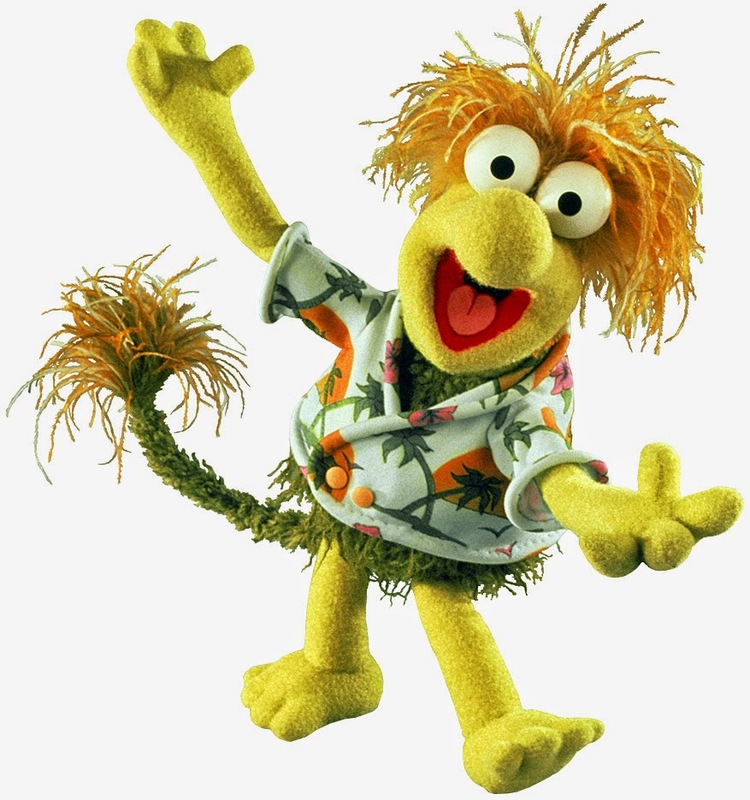 I was inspired by Wembley's shirt from Fraggle Rock for my next design. I used a nail art brush, Where Did Suzi's Man-Go, I Just Can't Cope-Acabana and Black Out to create the sun. I added the flower using Bottle Service and MASH43. The palm trees were added using Christmas Gone Paid and BM315. To create Emmet Otter I started with Lychee for the light coloring on his face. I just swiped the brush sideways across my nail. I used Black Out, a small dotting tool and my thinnest striping brush to create his face. I attempted to add his hat using a nail art brush and Christmas Gone Paid. I used the same method as Emmet to add Mushroom for his face. I added his mouth and eyes using Cocoa, Black Out, small dotting tool and nail art brush. I added his horns using a nail art brush and Cocoa. For his teeth, I used a nail art brush and Sally Hansen White On. And the finished product! I didn't execute it as well as I had hoped but I think it is a good tribute to Mr. Henson. I can't believe this week is almost over! It went so fast! Make sure you check out the amazing designs the other ladies created! Love Ludo, and I love each of your inspirations! What an adorable manicure this is! I was obsessed with Fraggle Rock! What a great mani to capture all of these! this is a great mani - i think Jim Henson had a massive impact on our generation. I too loved Dark Crystal - i was obsessed! Too freakin awesome! The Dark Crystal has always been one of my all-time favorite movies!!! OMG! I used to love Fraggle Rock. I wish it was around for my kids to see now - I know they'd love it too. I'm a tad obsessed with Labyrinth, Ludo is too cute!